One of the keys to a healthy pet is the early detection and prevention of disease. The gradual onset of health problems in an apparently healthy pet often go unnoticed. Once symptoms appear, the condition may be difficult or costly to diagnose and treat. There are many conditions, which if diagnosed early, can be completely reversed or controlled for an extended period of time. 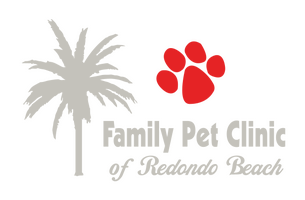 Family Pet Clinic of Redondo Beach will tailor individualized wellness plans for your pet. We recommend yearly wellness exams to help detect, treat and prevent health problems before they become serious. Senior pets should receive wellness exams twice a year. We will recommend disease prevention based on your pet’s lifestyle and local risk factors. We will educate you and raise awareness regarding nutrition and the aging process.